I love spring. Every year spring feels to me like a new beginning; a fresh start. Things that have been brown and drab for months are swiftly lush and green. Little green shoots start to pop out of the ground here and there, and suddenly there are flowers everywhere! I love the wild flowers of the area that grow unaided in my backyard: buttercups, shooting stars, sunflowers, and Saskatoon blossoms. Spring is so beautiful! It is not just the beauty that I look forward to in spring however. By the time April rolls around, I can hardly wait another minute for fresh produce! After a winter of canned, frozen, and store-bought produce, there is nothing like biting into a fresh, juicy, straight from the garden piece of fruit or vegetable! Rhubarb is the first thing to come up. As a Prairie girl (and a Mennonite), I have a real soft spot for rhubarb. I like it plain or dipped in sugar. I love it baked into pies (see my favourite recipe below), cakes, and crisps, cooked into jam, and mixed into frozen slush. I’ve even enjoyed a delicious cold rhubarb soup! A well-prepared rhubarb dish is a delight. The next produce to burst from the soil is asparagus, or as Grandpa Bob calls it, “The food of the gods!” Whether you are steaming it, grilling it, or slipping it into your favourite salad or side dish, asparagus is the epitome of the freshness of spring. Not only is it succulent and flavourful, it is packed with vitamins too! Our farm is regularly picking both asparagus and rhubarb right now. 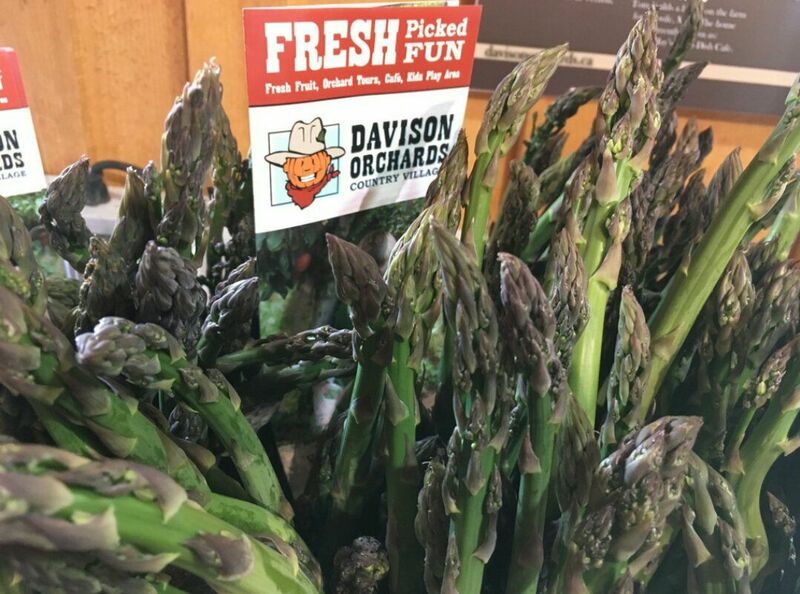 These early season produce items do not last long, so don’t delay your visit to the farm or you may miss out. The freshness of spring doesn’t stop there, of course. We are all eagerly awaiting strawberries, cherries, apricots, and the list goes on. Right now the apple orchards are putting on a spectacular show of colour and scent as they are in full bloom! 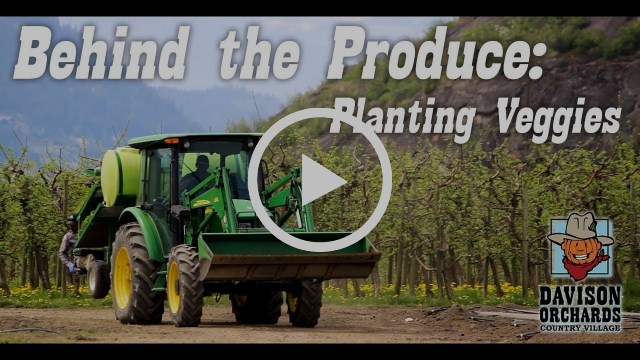 Come on out for an orchard tour this weekend to enjoy the beauty. 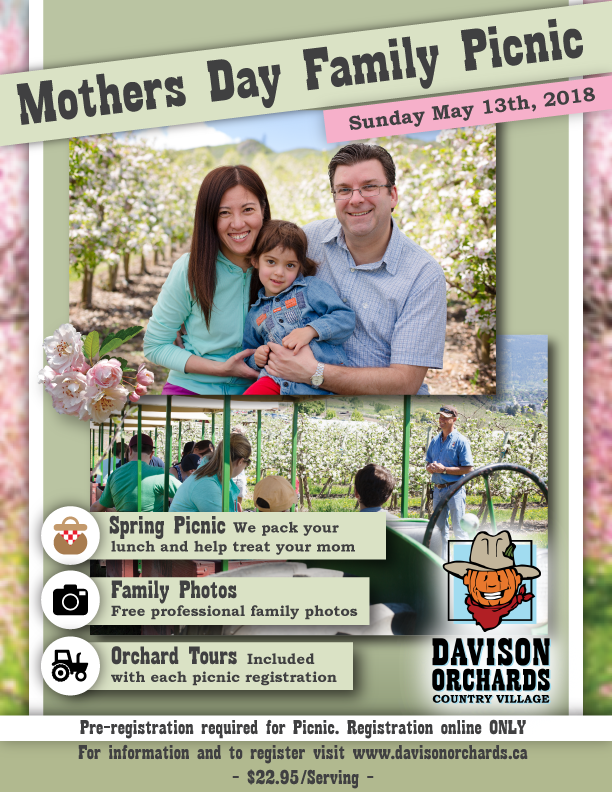 It is Mother’s Day on Sunday, and to celebrate, we are offering a stress-free picnic in the blossoms to thank mom for all she does (pre-book HERE). There are also going to be free, professional, family photos in the orchard from 11:00am - 3:00pm, as well as all the usual attractions such as spring tractor tours, the beautiful gift shop, treats in the cafe and bakery, and much more. We look forward to seeing you soon as you come to enjoy the freshness of spring. Fresh air, budding trees, and a delicious made-from-scratch picnic...sometimes keeping it simple is what makes it special. We prepare and pack your lunch, you choose the perfect picnic spot. Mother’s Day at the farm is all about bringing families together in a setting the whole family can enjoy. We look forward to helping you make this day special. 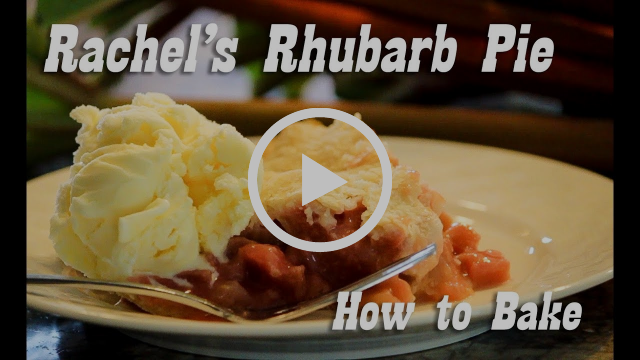 Rachel shows us how to bake her FAVOURITE Rhubarb Pie. Click here for more seasonal family recipes. Farming has sure evolved over the past 85 years. Copyright © *2018 Davison Orchards. All rights reserved.